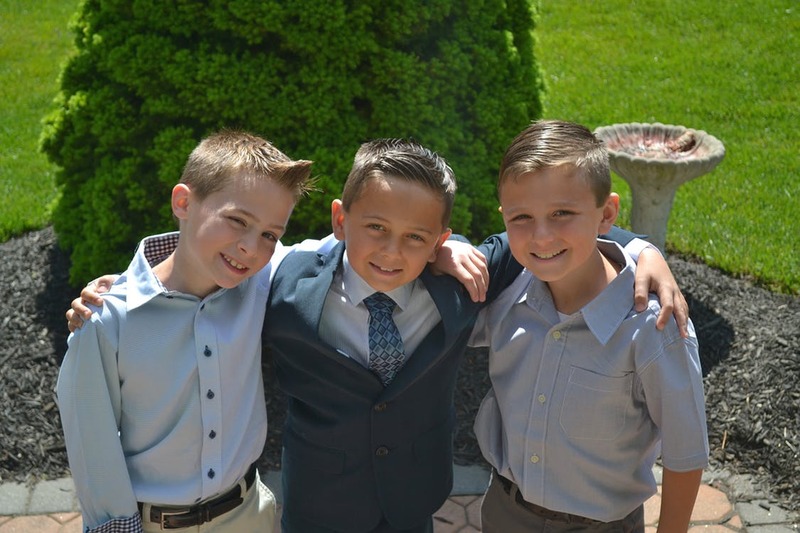 Established in 1995, Squires is a program for boys ages 9 to 11. It teaches important lessons about Justice, Truth, and Wisdom while participating in a variety of fun events and developing lasting friendships. A great starting point for any youth interested in becoming a DeMolay at 12 years old, or who is just looking for something to get involved in. Squires hold "professional" meetings, attend fun events, and interact with DeMolays. A Squire is part of a Manor, and members hold an office within their Manor. Each meeting and event has Advisors present who ensure safety, and work closely with the Squires. Active DeMolays give the Squires positive role models, and love interacting with their "little brothers". Parents are welcome to attend all events, and contribute to the success of the manor. For nearly 100 years, DeMolay has been enriching the lives of young men by providing a fun-filled platform that unconsciously develops key life skills such as public speaking, fundraising, and event planning. DeMolay counts among its alumni a multitude of standout gentlemen who turned their experience in DeMolay into the foundation of their professional careers. A select few are enshrined in our Hall of Fame. 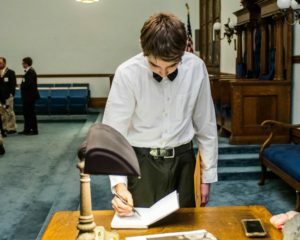 The DeMolay journey begins with the chapter, each a unique experience built around the same high values and leadership opportunities that have set DeMolay apart since its inception. Below are some aspects of the DeMolay program that showcase how it creates lifelong bonds between members that strengthen with time. DeMolay events are unlike anything else. They span sports tournaments, formal dinners, children's hospital visits, chili cook-offs, and so much more. If you can dream it, you can do it in DeMolay. 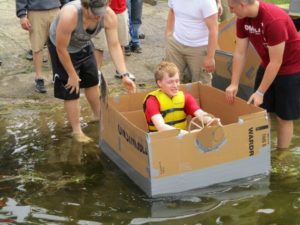 The young men are challenged to embrace new ideas and brainstorm creative approaches to fundraisers, service projects, membership drives, and fun events. Each year activities change and are reshaped based on their previous results. Some events lead to special moments in a young mans life. Like when a trip takes a DeMolay further from home than they've ever been before, or when they enjoy an activity they never would have tried on their own. Effective meetings are the cornerstone around which a chapter functions and grows. Meetings give members the opportunity to be creative and turn their ideas into reality. Every DeMolay has a role in the opening and closing of meetings. Every 6 months new roles are selected for members, and an election is held for new chapter leadership. The leader of a chapter is the Master Councilor. This position provides hands-on experience through challenging the young man in charge to make decisions for the chapter and organize the “when, where, and how” of events. Guest speakers like veterans, teachers, and public servants, are often invited to give special presentations. As Frank Land was putting together the pieces of his club that would become DeMolay, he asked a local writer, Frank Marshall to write some performances for his club, that represented the virtues he wished to impress upon them. Though he didn’t believe he could, Frank Marshall found himself compelled to try, and he wrote the degrees of DeMolay. What Marshall produced was so well written that a century later, the majority of his writing has gone unchanged. Many other pieces were introduced with time, and all together DeMolay boasts some of the most moving presentations a person can see. 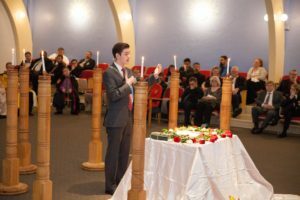 From a monologue honoring a Mothers’ love, to a sending off of brothers who have reached the age of majority, each carries a different lesson that the young men take with them beyond their time in DeMolay. Anyone watching a DeMolay performance for the first time is likely to be astounded by the ability and professionalism of the members - many of whom have no idea that what they're doing is truly special. The titles of “Mom” and “Dad” are indicative of the kind of impact Advisors can have on the DeMolays they work with. 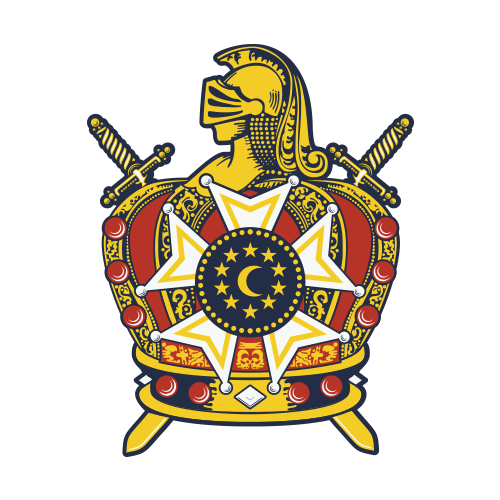 Members often refer to DeMolay as a “second family” because of the level of attention and affection given to the young men. By surrounding them with the right people, and giving them assistance, while promoting individuality, DeMolay attempts to provide guidance which will bring the best out of each young man. Chapters and members are part of a larger Jurisdiction, which are usually are defined by state lines or Country borders. The Executive Officer is the Advisor responsible for management of the Jurisdiction, and will often recruit other adults to serve as staff who assist in jurisdictional operation. Just like a Chapter, the Jurisdiction has its own officers with the top officers chosen by election. The youth leader of the Jurisdiction is called the State Master Councilor or Jurisdictional Master Councilor. DeMolays serving their Jurisdiction keep their Chapter role and attend meetings as usual. The role of the Jurisdictional Master Councilor and other officers is to visit all Chapters and provide help with a number of efforts while rallying the members behind their vision of how to move DeMolay forward. 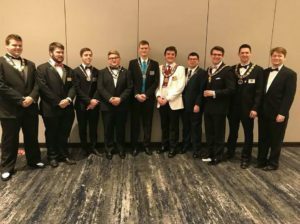 They often will travel beyond Jurisdictional lines to experience DeMolay from a different perspective and make connections with brothers from hundreds of miles away. 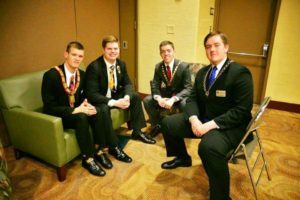 Once a year, DeMolay hosts an International Session, where Jurisdictions send their top ranked DeMolays along with their Executive Officer (adult in charge of the Jurisdiction). While there, they get the rare opportunity to meet some of the best DeMolays from across the globe. The location of session changes every year, often being held in historic locations like Kansas City, or Washington DC. The primary youth function during the week is the Congress Session where delegates from every Jurisdiction of DeMolay have their voice heard and vote on changes they would like to see on an International scale. 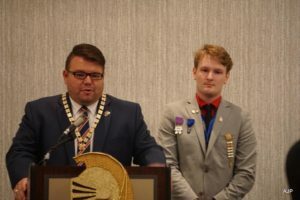 Also during the week of Session, the youth representatives elect an International Master Councilor and an International Congress Secretary to be the youth representatives for DeMolay. These elected officers travel the world on behalf of DeMolay and are voting members of DeMolay’s Board of Directors. 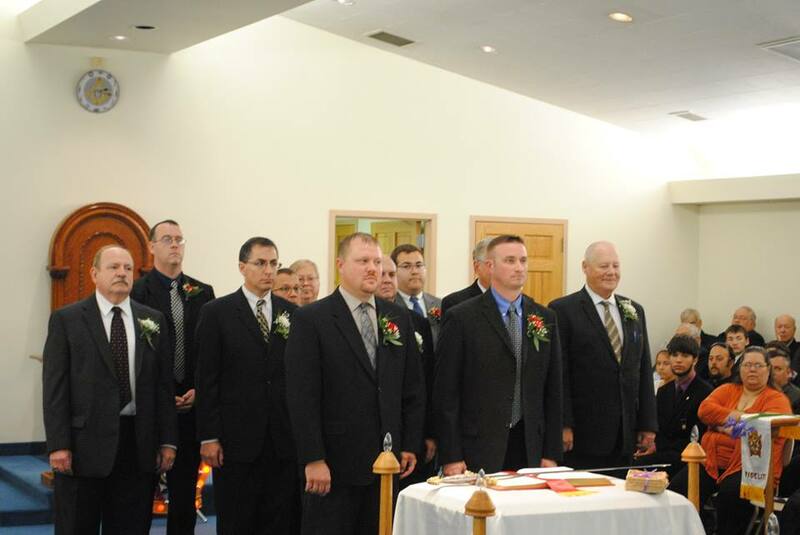 The Order of Knighthood is a special group for older DeMolays (17-21) who have "been around the block". 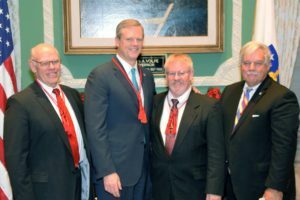 It serves as an opportunity for accomplished DeMolays to work towards new goals, and gives the older members an occasion to interact amongst themselves. Knighthood members are part of a Priory which has its own officers and events. The official name of the Order is The Chivalric Knights of the Holy Order of the Fellow Soldiers of Jacques DeMolay. Knighthood is not an honorary degree or award, but a working body whose purpose is to improve its members, and to serve the Order of DeMolay. It is standout from DeMolay and Squires in its attire, and if available, swords are worn on the hip and are used during their proceedings. 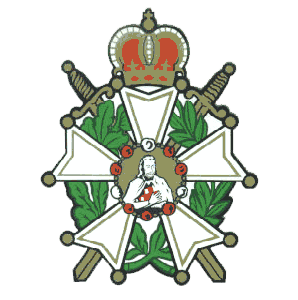 The Order of Knighthood made its debut in 1946. 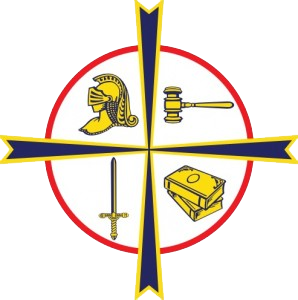 Assist the Order of DeMolay and its Chapters. Maintain the active interest of older DeMolays. Provide an interesting program for the Priory members. Provide a proper example for all DeMolays. 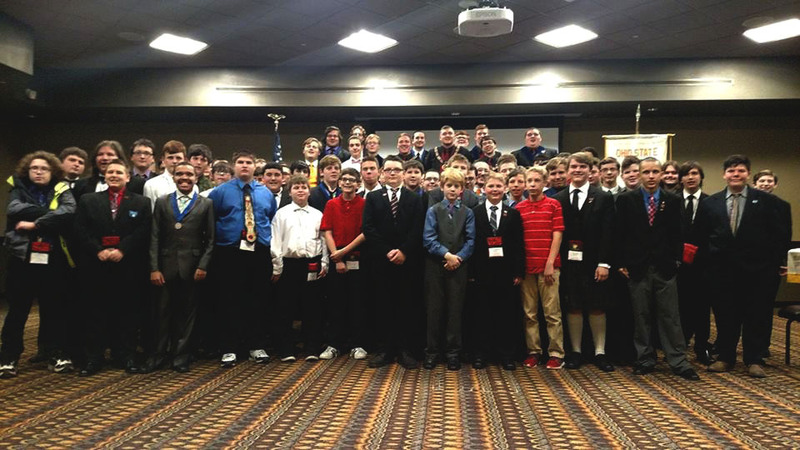 The adults that support and enable DeMolay at every level, are just as important as the young men involved. DeMolay has a large cast of dedicated Advisors and volunteers who enjoy supporting the activities and programs of DeMolay as much as the youth enjoy participating in them. Whatever the level of commitment, adults supporting DeMolay make a significant impact in the lives of the youth they interact with, and that support keeps DeMolay strong for generation after generation. It's a somber occasion when a well-liked DeMolay reaches majority... until the next event when they show up! The best experiences in DeMolay can still be waiting to happen for members after they reach 21. 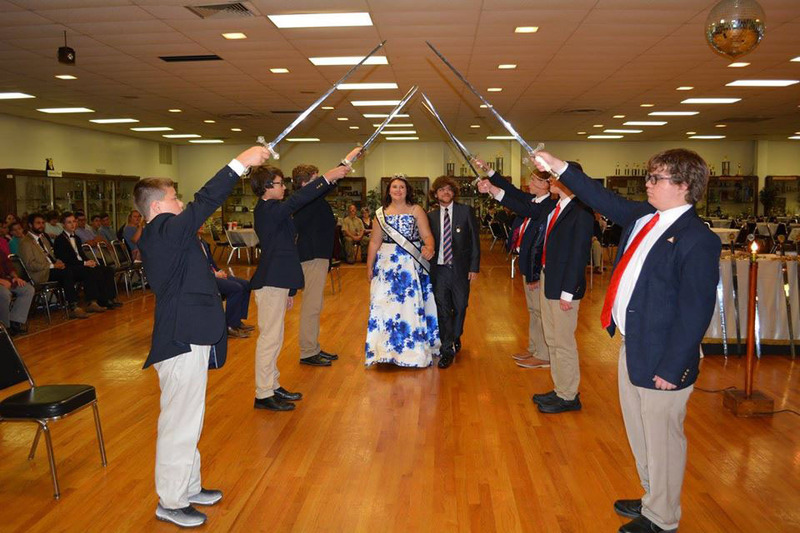 Senior DeMolays assist with DeMolay events like fundraisers and speech practices, using their years of experience to train the young members. Over time, the Advisor(s) leading a chapter will change, and with that change the lessons being taught to the Chapter can too. Senior DeMolays help keep the old teachings alive by instilling those values onto the new members. Senior DeMolays can continue recruiting DeMolays, and can earn their Blue Honor Key. If honored with the Degree of Chevalier (17+) or Legion of Honor (25+) they can attend special Senior DeMolay observances. As more time passes they receive special recognition for landmarks in their DeMolay career like 25, 50, 70 years as a DeMolay. Senior DeMolays with exceptional professional careers have a chance of being enshrined in our DeMolay Hall of Fame. The contributions of adult volunteers play a large role in the success of Chapter events. Many of these volunteers are family of a DeMolay or a member of a Chapter’s sponsoring body. 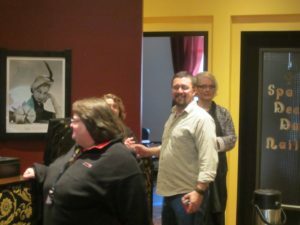 Adult volunteers provide additional supervision at events, assist in running programs, and often bring food to meetings, fundraisers, and social events (an act that is very appreciated!) 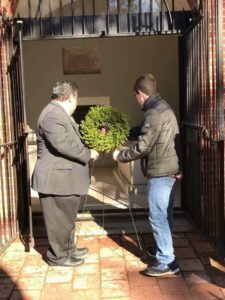 Some volunteers give the Chapter access to opportunities that wouldn't be possible otherwise based on their job or interests outside of DeMolay. Potential Advisors go through a rigorous screening process, mandatory background check, and yearly Advisor renewals, to help ensure the safety of our youth members. 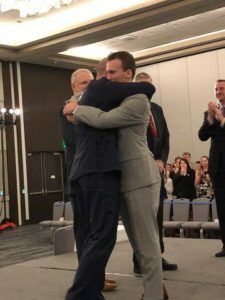 Dedicated and caring Advisors are an important piece of any successful Chapter, and just as DeMolays each have a slightly different role, Advisors lean on their strengths and experiences to guide how they support our members. Advisors give their weekends to drive DeMolays to and from events. They fill in as referees, DJ’s, moderators, set designers, and anything else an event calls for. They support DeMolays through some of the worst moments of their lives. They brainstorm ideas with their Chapter, and help recruit new members. Being an Advisor is like being a Swiss army knife of guidance, leadership, and assistance. An Executive Officer is the individual chiefly responsible for a Jurisdiction. They impliment programs that promote growth and development. They help their Chapters collectively and individually by working closely with Chapter Advisors to identify their problems and seek solutions. Executive Officers travel their Jurisdiction to show support at DeMolay functions, and represent their Jurisdiction and DeMolay at various other events. Many Jurisdictions have an adult staff that the Executive Officer uses to help operate their programs and maintain a high level of activity. Executive Officers are Active members of the International Supreme Council and have their own meetings to discuss issues and ideas. The International Supreme Council (ISC) is a collection of the most dedicated and passionate minds within the adult leadership of DeMolay. Getting in is hard, and staying a voting member requires ongoing commitment. The ISC divides into committees such as Budget and Finance, Membership, and Youth Protection, who all work to solve problems and discuss new ideas. Then at the International Supreme Council’s annual meeting, several of those committee ideas are discussed and voted on by the Active members of the ISC after careful consideration. The ISC receive feedback on what the youth think from the DeMolay Congress Sessions, where the young men voice their opinions of various motions.